A team of federal advisers recruited to help resurrect Canada's sagging economic growth has been exploring opportunities around trade, infrastructure, innovation and labour markets, says the group's chair, Dominic Barton. The council, created to provide advice to the Trudeau government, is scheduled to meet Finance Minister Bill Morneau in Toronto on Wednesday. The meeting follows data showing that in May the country had its worst one-month performance in real gross domestic product in seven years - dating back to the darkest days of the Great Recession. Statistics Canada said the economy contracted 0.6 per cent that month, in large part due to the Alberta wildfires. Barton, global managing director of the consulting firm McKinsey & Co., told The Canadian Press that the group is ``driving along''four classic work streams. Canada's rapidly aging population is one of the challenges that council members have been exploring, he added. ``We're going to have really big headwinds on labour-force participation over the next 10 to 15 years, so how do we get more people to participate in the economy?'' said Barton, a Canadian who is a sought-after international expert who has advised governments and big companies with economic strategy. The group, he said, is looking at options to boost immigration as a way to help offset the demographic obstacle. It's also focusing on training to help workers adapt to the increasing automation in the workplace, Barton said. In the other areas, he said the group has been studying Canada's trade agreements and international relationships, as well as its exports, imports and its openness to foreign direct investment. The members have also taken a closer look at infrastructure investments and is considering what can be done to attract more private capital to help build some of those projects that, in turn, will boost productivity, he said. Barton added that they are also looking at innovation, including the types of clusters the country can focus on to ensure Canadian companies scale up. The group, made up of 14 business and academic leaders, has been asked to help create a plan to get the economy out of a rut. This will be its second meeting with Morneau. Economic Development Minister Navdeep Bains will also attend. 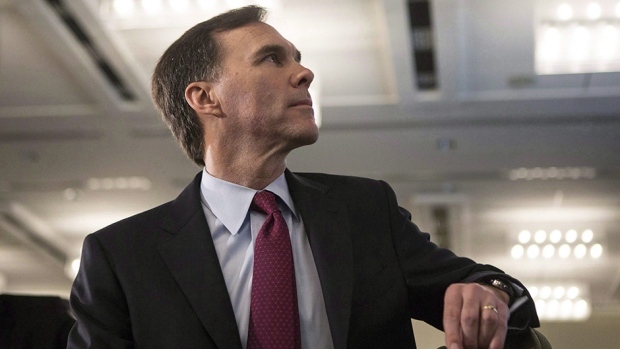 The group's recommendations will command the attention of Morneau and Prime Minister Justin Trudeau, who travels to China next week for bilateral talks and the **>G20<** leaders' summit. Barton himself has called on Ottawa to push deeper into Asian markets, including China, as a way to help revive Canadian growth. ``We're missing in action in Asia,'' he said. ``I think it's very important for us for growth. We need to broaden our trade relationships, again not only with China _ I think with India, with Indonesia, eventually with Africa. I just think we have to be more plugged in and that could be a unique role we play in Canada _ that we're a hub, if you will. Last month, the Bank of Canada predicted that the economy likely recoiled by one per cent in the second quarter. In April, before the Alberta wildfires, the central bank had forecast the economy would grow in the second quarter by one per cent. But looking forward, the bank said it expected a ``marked rebound'' in the third quarter with the resumption of oil production and rebuilding efforts in Alberta's oilsands region.